Not everything is as it seems around the Depoe Bay area of the central Oregon coast. There are dozens of secret spots hiding in plain sight, dotting this rugged, craggy landscape in places just slightly off the beaten path. Enough so that you won't know they exist unless you drive or stroll through the area a little more carefully. 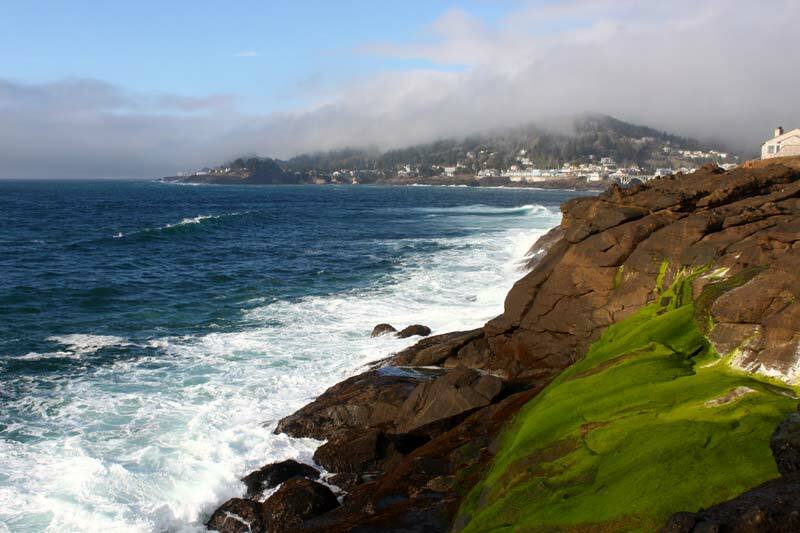 One of these is South Point Ave. at Depoe Bay, located at â€“ you guessed it â€“ the very southern end of Depoe Bay. It is the polar opposite and yet clearly the brother of the slightly-better-known hidden spot of North Point. They're like a pair of glorious bookends. Keep in mind, however, South Point is a part of someone else's neighborhood. There's no official visitor designated parking, so be kind and courteous when parking here. 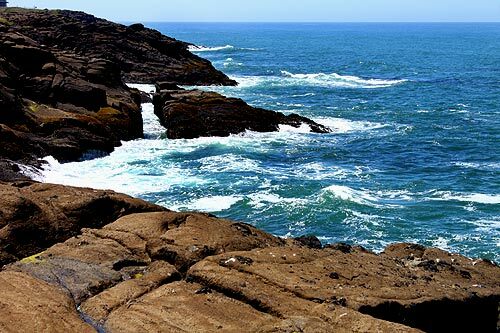 This Oregon coast stunner, like its untamed brother to the north, is a stretch of cliffs and globs of basalt that cause the ocean to smack it with consistently angry waves. But unlike the craggier North Point, South Point's basalts are smoother. Yet they're also steeper in spots, making parts of it harder to climb. This, coupled with a lot more of that slippery green sea goo - like sea lettuce or algaes â€“ makes South Point more dangerous. These rocky shelves and their fascinating tidepools are enticing, but it's a lot easier to tumble to your doom here. Or at least fall and crack something. 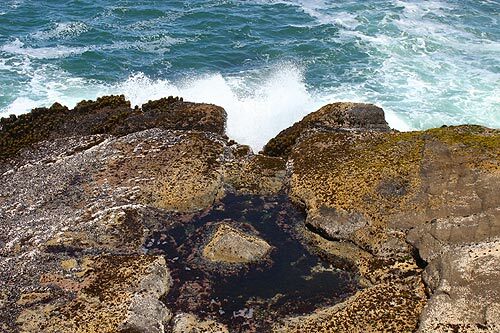 Be much more cautious here than most Oregon coast rocky spots.